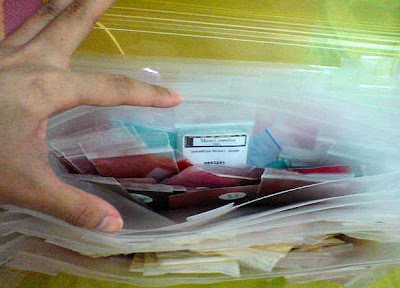 being an mmu addict for months now made me grow my collection so big that i can hardly find time to have the sample baggies to be transferred to pots. besides, "pot-session" tends to be expensive because of the price of the pots i used to get...and not to mention, it gets messy and takes a lot of time. but now i find it too bulky to bring when i need to do makeup outside my place. 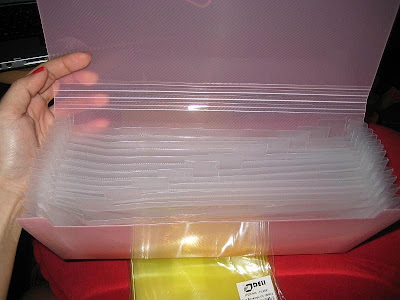 imagine me having to tote big albums of mmu sample baggies. i remember one time when i was on my way to the province. i was inside the bus when i dropped one of the albums. the bus conductor picked it up and maybe he was curious as to why i was holding it like my dear life. i almost laughed so hard when i saw his face when he started browsing thru the pages and see lots and lots of colored powder. he returned it to me and said: "are those food coloring?" i was able to fit in even the blushes, foundations and some finishing powders. looking at it, it's easier for me to bring them and like when i still have them in an album, it's easier for me to find the shades that i'll be using. when i first had them in an album, i've grouped them by brand...and i think it's way better to group them by shades. 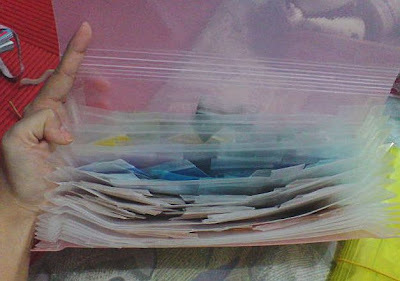 now i am thinking of transferring back those i have in pots to sample baggies. how about you? 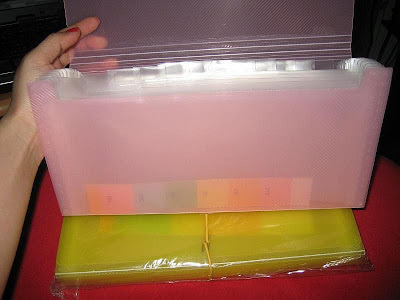 how do you store your samples? hahaha SIS!! 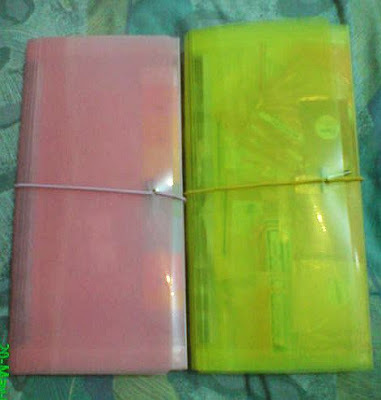 I have the exact same folder..the pink one!!! But I'm using it to "manage" my bills and finances. I got mine separated per credit card companies, banks , telecom companies, cable hahaha yes, I'm that organized!!!! hahah thats a great story!! 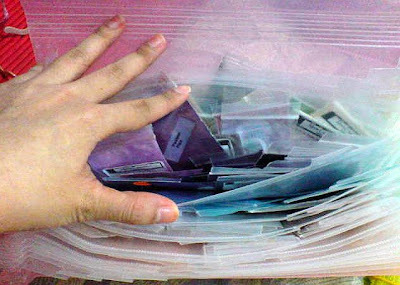 you have so many baggies! Hey sis :) I use business card holders. I think it was nikkiz who wrote about it on the mineral makeup blog. hi sisters, i have tried those pill boxes to store my pigments but being a careless/lousy person that i am each time i open one i spill some of the pigments. and i need something that will help me see the actual shade easily. no need to open each box pa. though i saw one time they have white...pero mejo hindi pa din kita. 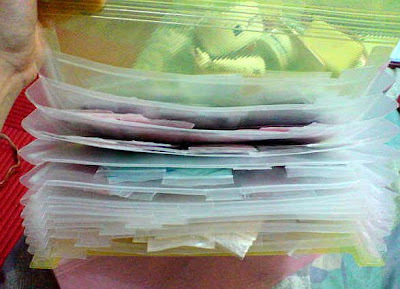 hi carmen yeah i have lots..i have two more folders actually and a lot of those i've already transferred in pots. i got really addicted to sampling last year and early this year. and the meaning of sampling for me was to get most, if not all the shades! stupid me, huh! hi rotten rainbows i might try that too some other time. maybe if i only need to bring some shades :) thanks!